Did You Know? Reading Makes You Nicer! Sacrifice your fave TV show for now. I’m not afraid to admit that there’s a stack of books waiting for me on my nightstand. And every day, I make a quiet promise to crack one open instead of just turning on Riverdale right when I get home. Can anyone else relate to this struggle? 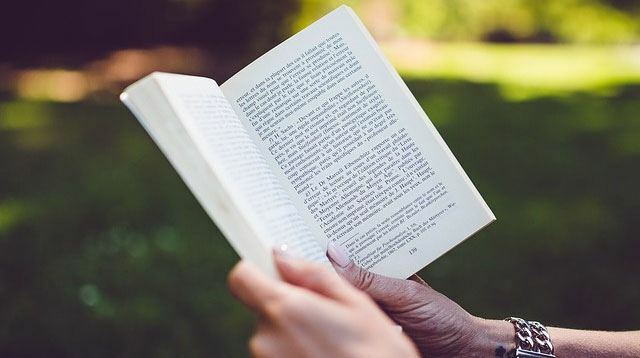 If you need more incentive to finally finish your copy of Crazy Rich Asians—you know, before the movie comes out—a new study found reading makes you kinder and more empathetic. 123 participants were asked about their favorite books, TV shows, and plays, and then tested on their interpersonal skills. Kingston University in London reported that readers were more “likely to act in a socially acceptable manner compared to those who preferred watching television.” TV watchers were found to be less friendly and less open-minded about other people’s views. And the type of books you read actually matters. Apparently, fiction fans exhibited positive social skills; readers of drama or romance novels were the most compassionate; those who read experimental books were more open-minded; but comedy lovers scored the highest in terms of relating to other people. BRB, reading Amy Schumer’s The Girl with the Lower Back Tattoo.